Chefanie Sheets are edible wallpaper. Vegan, gluten-free, & shelf-stable, they elevate ordinary store-bought or homemade cakes, cookies, donuts into a work of art in 5 minutes. Available as part of a kit that includes a ruler and SUPER QUICK INSTRUCTIONS. You can purchase Chefanie designs or customize your own. Join to have fresh Chefanie Sheets delivered monthly. The perfect gift or inspiration to bake seasonal donuts, cakes, and cookies. Each kit includes: 2 Small Chefanie Sheets,1 ruler, instructions, & a seasonal recipe card for just $19.99. 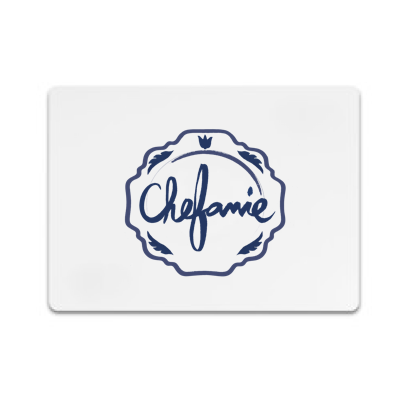 Chefanie Gift Cards arrive via email with a unique redemption code. Order yours here. To order a custom *cake* in the New York area, contact hello@foldedvictory.com.